The river Brosna runs straight through the club lands and it is also bordered by the Grand Canal on one side. Predominately down the years the club has focused on pheasant release and development. The landscape has changed a lot over the years with large areas being drained, reclaimed and a move away from the traditional crops of potatoes, mangles and turnips to grassland. With this in mind we have decided to invest in ways to promote habitat development and to increase the natural stock of wild breeding birds in the area. 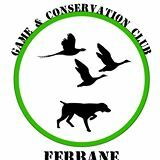 Ferbane Game Club is a member of the National Association of Regional Game Councils and at a local level the Offaly Regional Game Council.